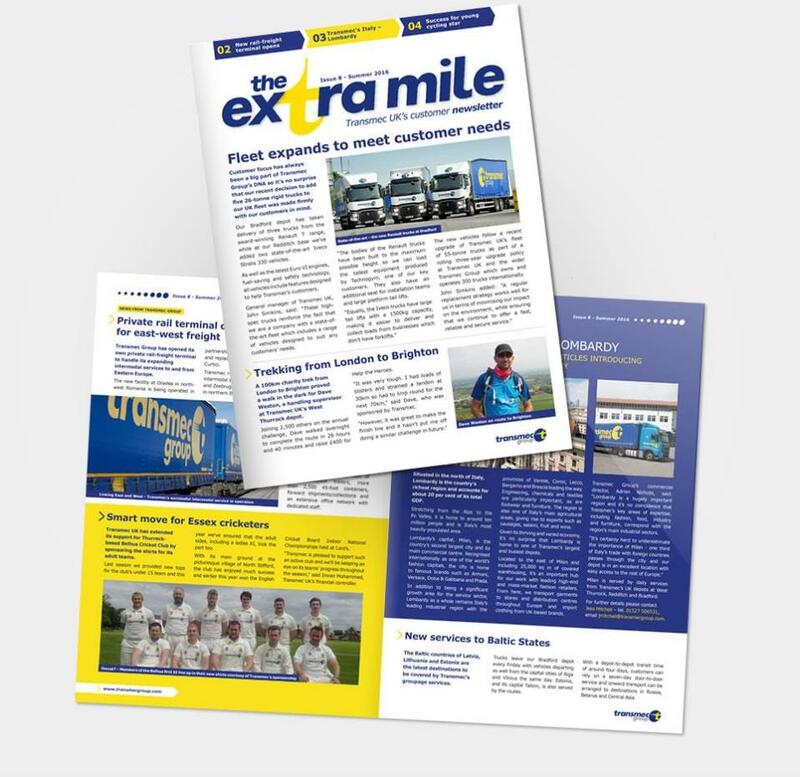 We first launched the Extra Mile for logistics company, Transmec UK, in summer 2014. Distributed to existing and prospective customers, the four page newsletter offers an insight into both Transmec's wide-ranging services and its 'can-do' culture. Going from strength to strength, the latest issue incorporates a resdesign to reflect new corporate branding and includes a mix of news and features.You can download a copy by clicking here.